Course Objective- "To understand the historical and social context and identify the message or hidden message". In this series, he analyzes select sections from Midrash. 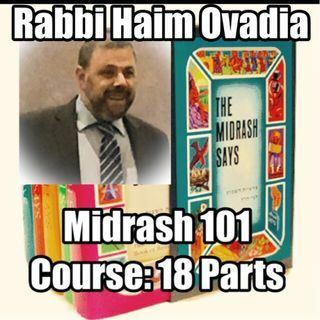 This is the full Academic Course on Midrash and all its facets taught by Rabbi Haim Ovadia in the summer of 2016 at ... See More the Academy of Jewish Religion in Los Angeles, CA. In addition to holding a faculty position at the AJR, he is also the full time Rabbinic leader of Magen David Sephardic Synagogue in Rockville, MD. 16: Midrash 101: Does God criticize himself?